Cambridge, UK: It’s one of the oldest education center in the world and established to represent the highest quality of academic excellence. Students won’t get knowledge only from lectures, but also various hands on experiences and seminars. 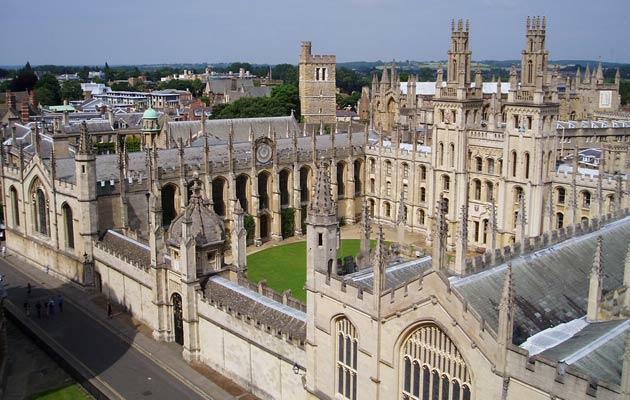 Cambridge is known for age-old building and a plethora of libraries and museums. Harvard, USA: Harvard is famous for its top-notch law program. However, its other departments are excellent as well. The university is one of the oldest in the United States. Harvard is encouraging students to challenge themselves, learn more and innovate. Like Cambridge in the United Kingdom, Harvard has plenty of museums and libraries. Annual tuition fees could reach more than $50,000 and this include dorm room, student services and health services. Only students who are included in the top ten percentile in their high school class are eligible for entry. MIT, USA: MIT is known for its impressive technology and science programs. For many years, the institute is known for its dedication for the development of technology and science. It is consisted of 5 schools and 34 departments. Annual tuition fees are around $50,000; which also covers dorm rooms, basic personal expenses, books and others. MIT is known for its rigorous admission tests and only 15 percent of applicants can be accepted. Students need to submit their applications months before the actual admission process begins. McGill, Canada: It is a relatively older university in Canada and known for its good medical studies. McGill has its own hospital facility. Other than providing education for doctors and other medical professionals, the university also focuses on basic researches, such as human genetics, genetic engineering, biochemistry, cellular biology and others. Compared to other top universities, McGill is relatively affordable at about C$25,000 of annual fees; including books, lodging, food and insurance. ETH Zurich, Switzerland: It is one of the best science and technology universities in Europe. Dozens of Nobel laureates graduated from ETH Zurich, such as Richard Ernst, Fritz Haber, Wolfgang Pauli and others. The tuition fee for each semester is CHF 580, which is quite affordable. University of Tokyo, Japan: It is an important university that has been visited by many experts and professionals around the world. University of Tokyo is known for its high quality and the President’s Award. For undergraduate degrees, the course fee is about ¥550,000. For international students, special screening is required and this may involve an entrance test. Ecole Normale Superieure, France: It is one of best universities in Europe. Louis Pasteur and Jean Paul Sartre graduated from this university. The enrolment process can be quite competitive and challenging, because there are fewer than 3,000 students at any time in ENS. The ability to speak French is highly recommended. MISTAKES TO AVOID WHEN FILING CAR ACCIDENT CLAIM? How Long Should You Wait To Swim After Eating?